This is Part two of AdventureYogi’s ultimate Vegan Christmas Dinner, click here, for part one: the best gravy you’ve ever had and three: Mulled Berry Cheesecake ! 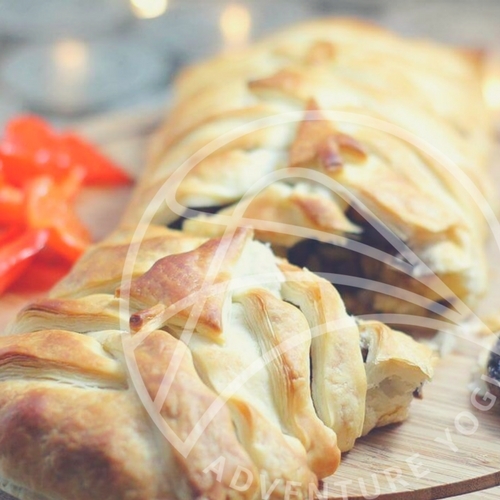 Christmas dinner is the best time to get together with family and friends and share something delicious which is why these vegan recipes are sure to tickle anyones tastebuds, not just vegans! 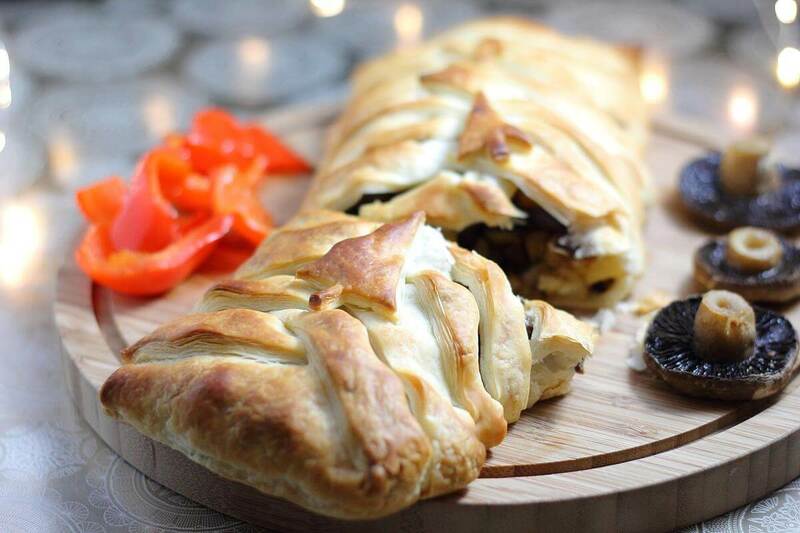 For the main event, a mushroom and chestnut wellington has yet to fail me! Finely chop the onion and fry in a frying pan until translucent and just starting to caramelise. Mince the garlic and slice the mushrooms and stir into the onion. Sweat on a medium heat until the mushrooms and are just starting to brown. Then set the pan aside to cool. In a large mixing bowl, chop the marg with a knife until cut into fairly small chunks. Then add the flour and rub the mixture together with your fingertips until it resembles fine breadcrumbs. Bake in a pre-heated oven at 180C for 35-40 mins until gold brown. Serve immediately. Stuck for ideas for sides? Click here for our brussels sprouts recipes to die for!